Today is Red Nose Day. Also known as Comic Relief. A biennial event that has become a British national institution since it began in 1988. It is the simplest of ideas. Every two years, people get together, make each other laugh, and raise money for those who need it most in the UK and Africa. 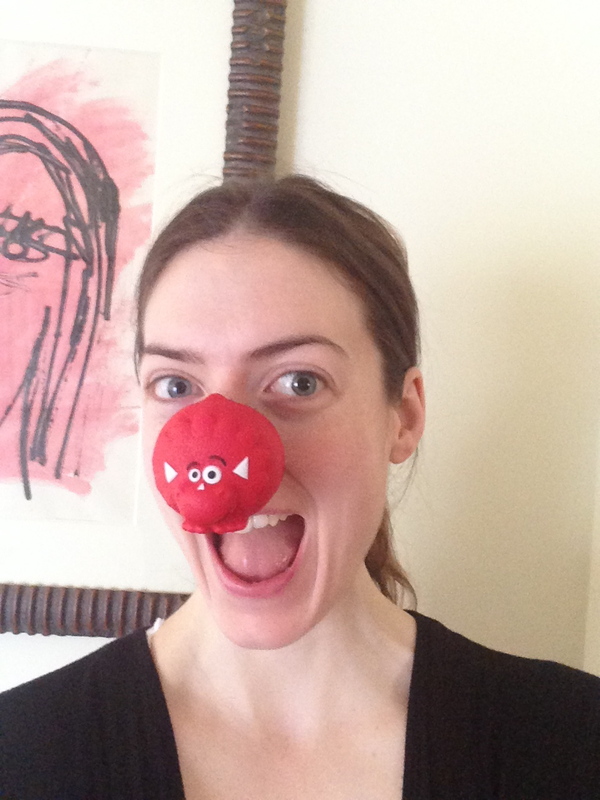 Everyone can take part – in schools, at work, at home, or by buying a little Red Nose to wear. It culminates in an entire evening of Britain’s most entertaining comedians and celebrities taking over the BBC, making everyone laugh and encouraging them to donate generously. Comic Relief was always a night when you’d see the bizarre and hilarious happening in the name of a good cause – from Ali G interviewing Victoria and David Beckham, to sketches involving former Prime Minister Tony Blair, Elton John and George Michael, to record breaking challenges including a Radio 1 DJ hosting a non-stop 52 hour radio show that raised £2.6 million. The money raised each time is staggering – in 2011 the total was £108,436,277. Comic Relief, whose slogan is “A Just World Free From Poverty”, uses the money to change countless lives. In the UK it works with organisations to provide support to people with mental health or substance abuse problems, domestic abuse, young carers, the older community, and to provide sport in troubled areas as a tool to address social issues. Overseas, Comic Relief uses the money donated to help children and young people living on the street, people affected by conflict. those affected by HIV and AIDS, climate change, and so much more. I’ll miss getting to watch tonight’s antics on the BBC, but I’ll be wearing my Red Nose with pride and hoping they raise more money this year than ever before!